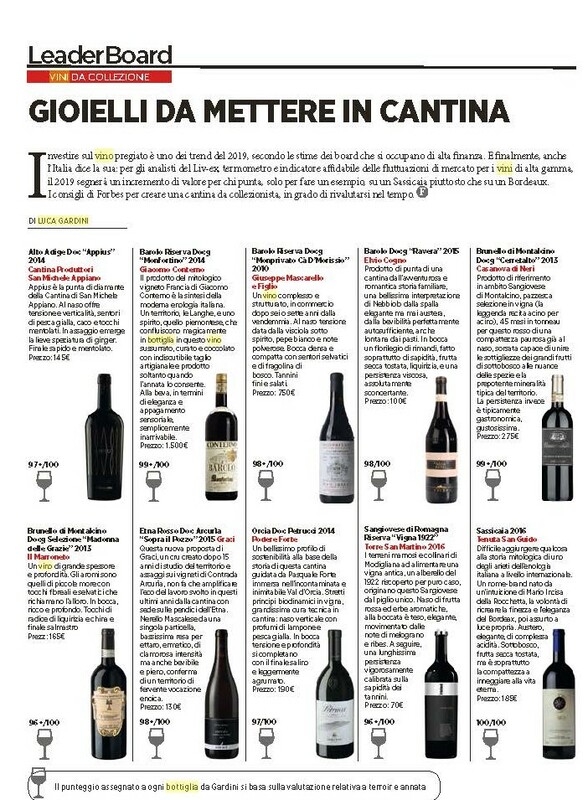 Jewels to put in the cellar , Published on Forbes Italy. Barolo Ravera DOCG 2015 98/100. The score from Luca Gardini.